The mObridge M2.Connect MOST allows for Handsfree Telephony and Audio Streaming via Bluetooth. This product is our third generation mObridge MOST Bluetooth interface that builds on the popular first & second generation M1000-M-BT products. This is by far the most advanced after-market Bluetooth Interface available for many MOST-bus vehicles. Now including a secondary dedicated Digital Signal Processor (DSP) for improving MOST audio! 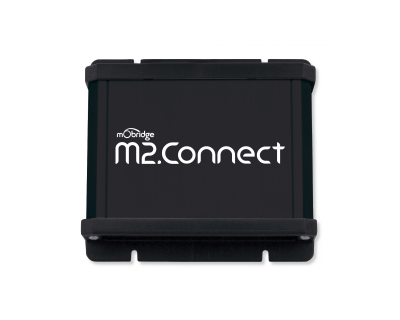 The mObridge M2.Connect CAN allows for Handsfree Telephony and Audio Streaming via Bluetooth. This product is our third generation CAN Bluetooth platform supporting Audi, SEAT, Skoda and Volkswagen Passenger and Commercial vehicles.